Fast acting special cleaner for efficient removal of grease, oil and adhesive residues, industrial dirt, soot, emulsions, crusts, gumming and wax-like films. 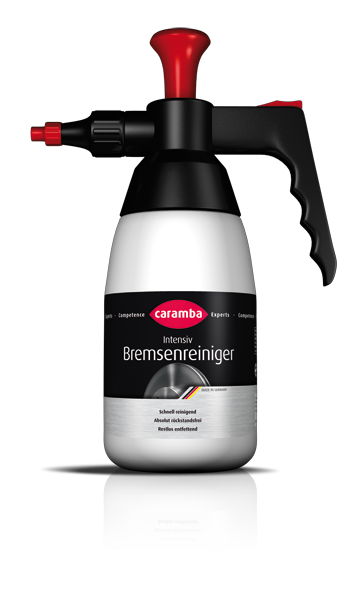 Spray CARAMBA intensive industrial cleaner generously on the parts to be cleaned and let it run off. Allow the parts to dry in the air or wipe off using a cloth. In case of particularly stubborn dirt, repeat the process if necessary. Attention: The product contains acetone and attacks rubber, coatings and plastics.